Obituary for Willie James McLellan | Jones Clark Funeral Home, Inc.
Mr. Willie James McLellan, age 74, passed from this life on Wednesday, March 27, 2019 at approximately 8:29 p.m. at St. Rita’s Medical Center in Lima. He was born on November 9, 1944 in Durant, Mississippi to the union of James C. and Virginia (Brown) McLellan; both parents preceded him in death. He retired from Crites Trucking after many years of service. Mr. Willie was a very hard worked and had a great sense of humor. He leaves to cherish his precious memory 4 sons; Castro McLellan, Jenova McLellan (Sophia), Rico McLellan and Wendell McLellan. 2 daughters; Michelle McLellan (Deschund Smith) and Davorah Cole (Mike Darden). 3 stepchildren; Gloria Stephenson, Anitra Cole and Lonnie Cole. 30 grandchildren, 23 great grandchildren. 5 brothers; Jesse Lee Brown, Morgan McLellan, Johnny McLellan (Tammy), Robert McLellan (Diane) and J. Lee Grant. 4 sisters; Rosie McLellan-Cannon, Shirlean McLellan, Marlon Rose-White (Keith), and Shannon Rose Tyler. Preceded in death by; Tommy McLellan and Telly Rose. Sisters; Lizzie Lee (McLellan-Watkins) Caldwell, Sandra (Theodis) Battle, Geraldine McLellan, Earline McLellan and Pauline McLellan. 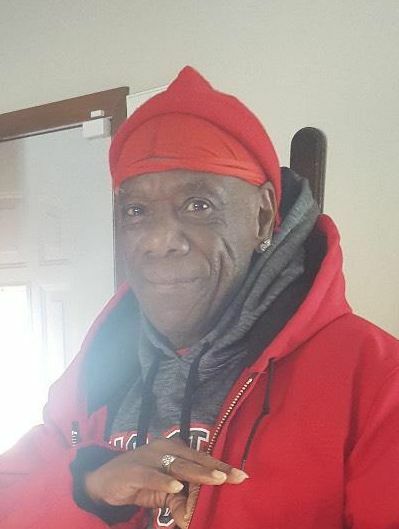 Home Going Services will be held on Friday, April 5, 2019 at 2:00 p.m. at the Chapel of Jones-Clark Funeral Home, Inc.
Visitation/Wake will be held on Friday, April 5, 2019 at 10:00 a.m. until time of services also at the Funeral Home, Inc.